It’s a brand new month, which means a brand new Best Of playlist, full of fantastic unsigned music. For this month’s playlist, our guest curator is… us! 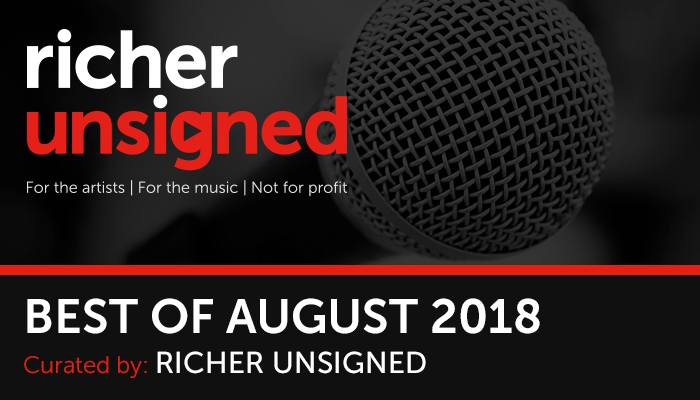 We’ve selected ten of our favourite Unsigned artists that we feel really highlight the diverse nature of the submissions we see come through to us. If you’re in a band and you haven’t signed up with us yet, it’s really easy, simply sign up here! We promise to listen to every submission (private links won’t appear, so please only submit public links).